If your travelling to China, chances are you are going to go to Xi'an. 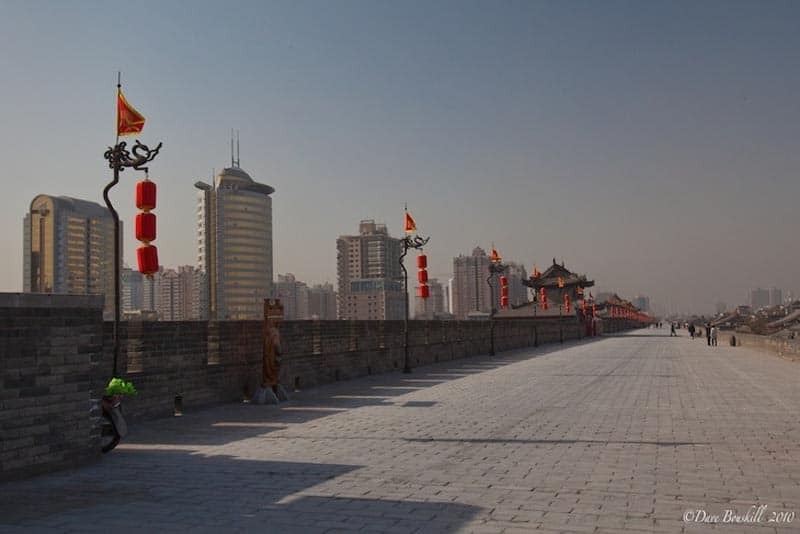 And if you do, you must check out the Xian city wall. 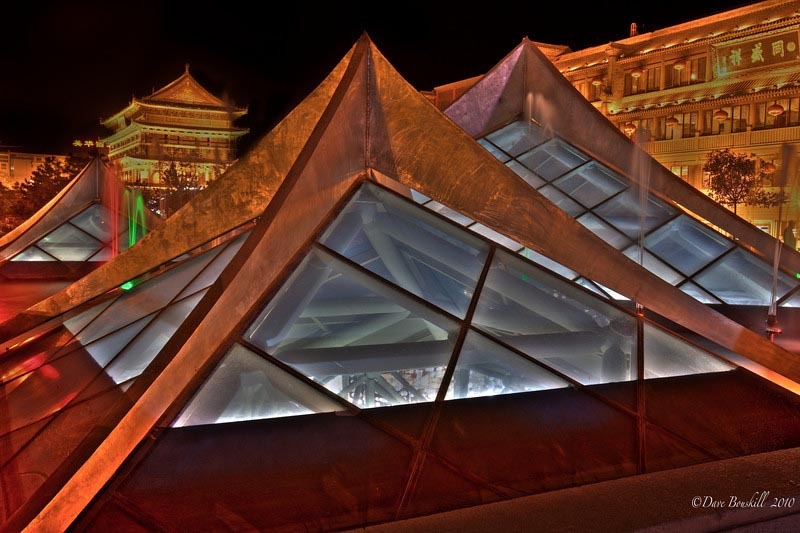 Xi'an is where Terracotta Warriors reside and the mighty underground army is one of China's most popular sites. But the city of Xi'an is worth a visit in its own right. China's original capital, Xi'an is the oldest city in the country. With a history spanning over 3000 years, Xi'an has gone through many a ruler, seen many a dynasty, was one of the four great ancient capitals of China and was the origin of the famous ancient Silk Route heading west. It's most famous ruler Qin Shi Huang D, unified China and ruled from its city walls. 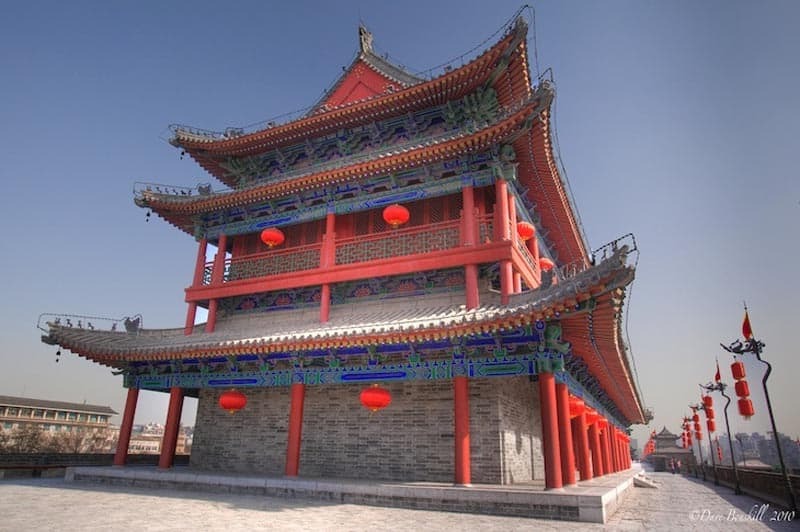 We have already told you about the Terractotta Warriors, but did you know that Xi'an has the most well preserved original wall in all of China? 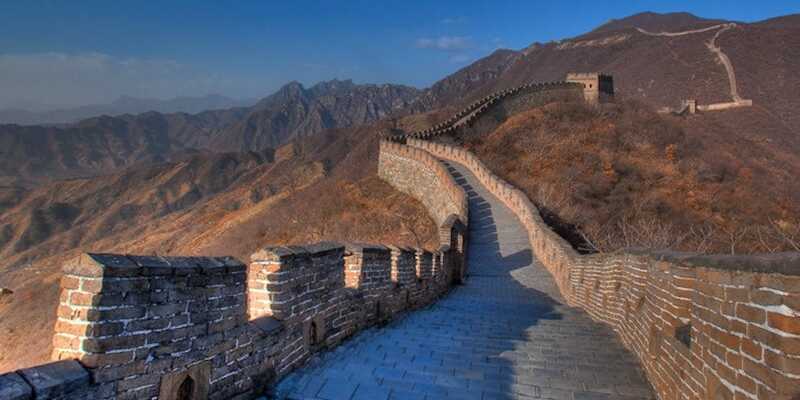 Qin was no stranger to Great Walls. Besides commissioning the Terracotta Warriors, he also brought all of the smaller walls of China together to create the Great Wall of China. The Xian City wall is the most beautiful and well preserved of them all. It is no wonder Xi'an has such a great city wall. Today, there aren't any Emperors enslaving peasants to build great monuments, but you can imagine what life was like as a sentry or an archer guarding the great city. 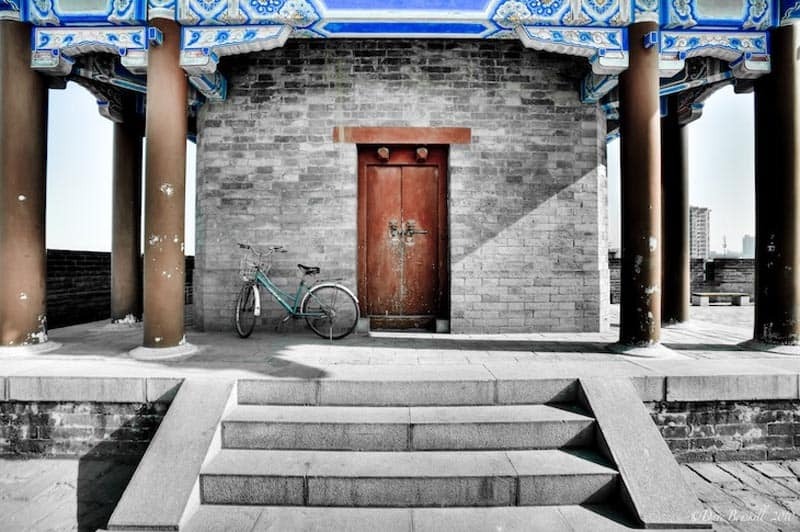 For a mere 20 Yuan for 100 minutes you can rent a bicycle and ride on top of the most intact wall in all of China. Surviving the elements for centuries, Xi'an's wall even managed to stay intact after the devastating Earthquake of 2008 that killed 70,000 Chinese citizens. After giving our 200 Yuan deposit, we chose our bike and off we went riding over the bumpy cobblestones. We stopped regularly to take a closer look at the watchtowers. They were spaced out perfectly at 120 meters allowing for the archer's bows to reach 60 meters on either side. I could see how this dynasty lasted for centuries. It would be almost impossible to break through Xi'an's walls. Surrounding the city in one big giant square, the inhabitants of Xi'an could sit comfortably knowing that their wall would hold. For the first half of our cycle, we stopped often overlooking the city and popping into buildings above the gates and checking out the guard stations scattered atop the wall. Soon things became monotonous and instead of stopping to look at the scenery, we started cycling simply for the joy of the ride. It is funny how people (namely Dave and I) stop thinking about the price of things in their own currency when travelling for an extended period. We had to pay an extra 10 Yuan if we were late and once we noticed that we only had a half an hour to go with almost half the wall to ride, we picked up the pace and went full tilt boogie back to the finish. We whizzed by tourists who looked at us with odd stares. Why are these people cycling so quickly on top of a wall? We made it back and didn't have to pay the 10 Yuan. Once the adrenaline slowed down, we thought about our actions and asked ourselves, What were we thinking? 10 Yuan is a buck fifty Canadian. We could have slowed down and enjoyed the last half of the Xi'an Wall at a slower pace and see the birds eye view of the city, but instead we had to high tail it back to save our buck. Dave said, boy, we really have to figure out how to make more money. If we're panicking over a couple of dollars, we're in big trouble. Cycling the Wall costs 20 Yuan and you will have to pay a 200 Yuan deposit. 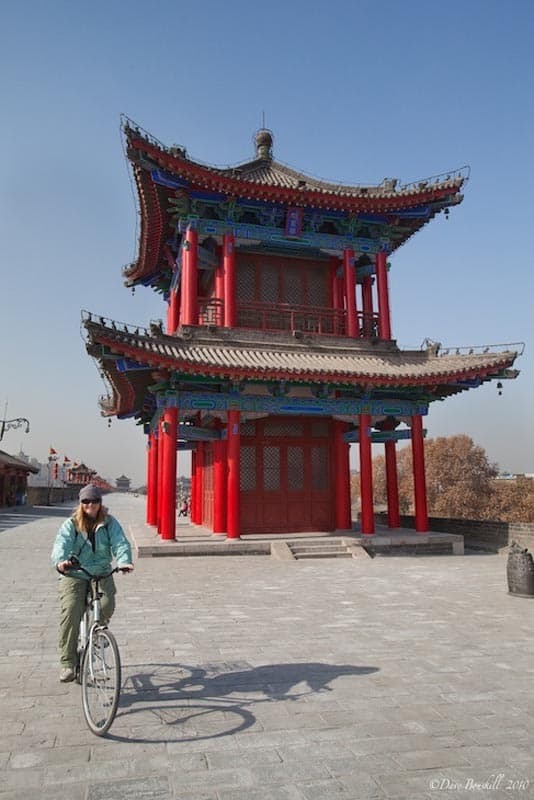 Intrepid Travel sponsored our tour of China and we spent 3 days in Xi'an. The Terracotta Warriors tour is part of the package along with a meal and breakfasts. You are then free to explore the city on your own and renting a bicycle is highly recommended. 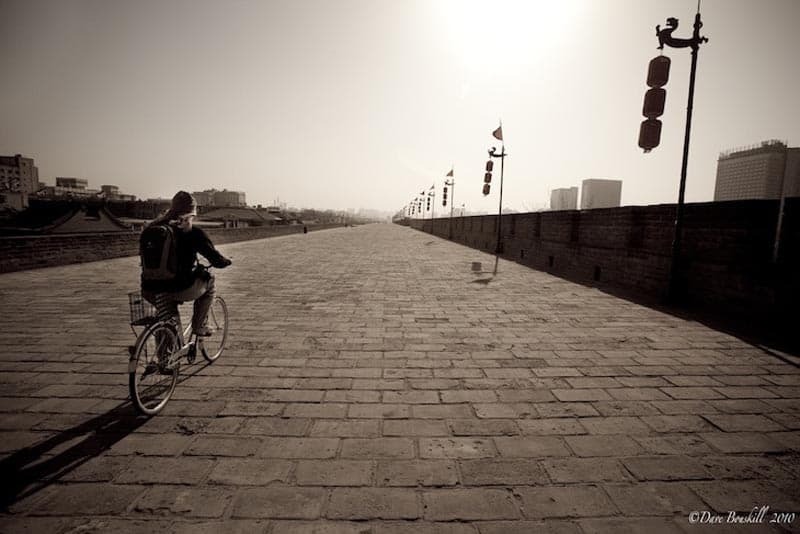 22 Responses to "Cycling the Xian City Wall – China’s Oldest Wall"
It was said that visitors can rent bicycle and ride on top of the ancient city wall of Xian, isn’t that so? Lovely photos. Yes, strange how we deep counting our dollars in these situations. My visit to China including Xian was the most wonderful experience of a lifetime. I am glad that you had a great time in China. It was an amazing experience for us. Have a fab New Year in China! It was so much fun to read all your posts in 2010! I’m already looking forward to 2011! All the best & hopefully to a meet up in 2011! Thanks Melvin, you have a great 2011 too! Here’s to meeting up with you this year somewhere! I’ve never been to China, but these photos are so, so lovely, Deb and Dave, I just have to comment. Beautiful job. Thanks Jennifer. It was a perfect day for taking photos. Well china is great country. I visited 2 years back just for 3 days for my business trip. I like their food and clothes. Even Chinese people are very warm and welcoming. Very true, you will have to go back for a longer trip next. Where did you go Beijing? Hi Deb! Renting a bike is my favorite way of exploring a place. It costs much less than a taxi and you can see more than if you were to walk. Are they trying to restrict the number of visitors to the wall? you know, so that its preserved better? It is one of ours too. You feel free from touts and taxi drivers bothering you while your walking and you have the freedom to go wherever you want at your own pace. I love the second desaturated photo, the lighting is wonderful in it. Thanks Ayngelina. The lighting was just right! I really enjoyed Xi’an, too. Again, great pictures. I am glad that you loved Xi’an, I think it is one of the most pleasant cities in China.